Many people may not realize it, but they oftentimes have an everyday carry gear, stuff that they can’t be without when they leave the house. Some can even find themselves always carrying something while indoors. Therefore it is always important to have functional, high quality gear well suited for the task at hand. In our essential gift guide, we have wallets, flashlights, pens, pocket tools and other useful stuff. Holiday season is a good time to get new stuff or look for an upgrade. 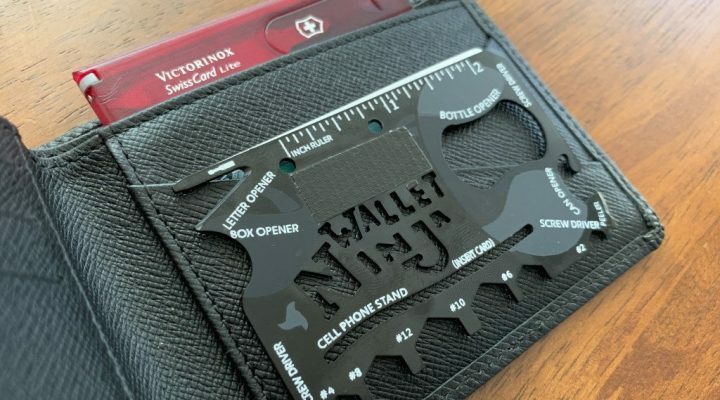 If you have someone on your list who likes high quality everyday carry gear, here are some of the best everyday carry gift ideas to check out. Fenix LD02 V2.0 is an upgraded model that features dual light modes. It uses a Cree XQ-E HI LED warm white light with an output of up to 70 lumens, and also has a 365nm/200mW UV light. The UV light is ideal for various applications like laboratory and medical use, or finding watermarks. This light and compact flashlight easily fits in your pockets or bag. It has three brightness levels using the HI CRI LED and uses a single AAA battery to operate. A small flashlight which uses a single AA battery that powers the Cree XP-G2 LED. Runs at 130 lumens on high mode. Durable black aluminum body with a simple, functional, and compact design. Tail switch operated makes it easy to use. An excellent basic flashlight for those new to EDC. Olight S1R Baton II is the improved version of S1R that uses a single high discharge rate IMR16340 rechargeable battery. This compact flashlight is capable of producing up to 1000 lumens using a single CREE XM-L2 cool white LED. There are five modes with the lowest mode being 0.5 lumens with a runtime of 8 days. The body has a textured pattern for comfortable grip and the magnetic base allows for hands free use. The S-style removable pocket clip allows for multiple carry configuration. It also comes with a magnetic MCC2 USB charging cable. The small form factor makes it perfect for all-around everyday carry and also suited for camping, hiking, fishing, and other outdoor activities. Fenix LD15R is a compact USB rechargeable right-angle head flashlight perfect for hands-free use or for those that needs forward facing wide angle light. The magnetic base can be mounted on any metallic surface, and the metallic clip allows the light to be clipped on anywhere. The light has seven modes and can emit up to 500 lumens on turbo and 3 lumens on low. Red light mode, red flash, and SOS is a handy feature to have. It is powered by one 16340 rechargeable Li-ion battery (included) or a CR123A battery. Fenix LD15R is also waterproof and dust proof making ideal for outdoor use. 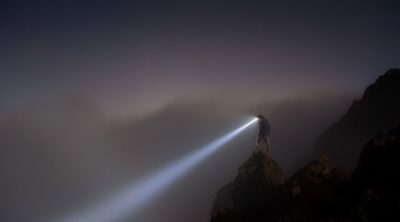 An improved version of the previous model S10R II, Olight S10R Baton III is now capable of up to 600 lumens output. It uses a Luminus SST-40 LED light powered by a single normal or rechargeable CR123A battery. It includes a USB magnetic charging dock for easy charging. The magnetic tail allows for convenient hands free operation, and the stainless steel pocket clip securely attaches to a pocket or bag for ease of access. Olight S10R Baton III is a compact flashlight at only under 3 inches in length and combined with its bright output makes it perfect for everyday carry. Nitecore TINI is a micro flashlight that packs a lot of lumens in a very compact size. 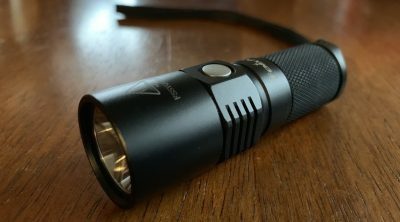 It features a CREE XP-G2 S3 LED that outputs up to 380 lumens which makes it comparable to full sized flashlights. The flashlight has four modes, low-med-high-turbo. The lowest mode at 1 lumen is very useful for closeup work. It is powered by an internal Li-Ion battery that is Micro-USB rechargeable. Nitecore TINI is an extremely small flashlight that weighs only 0.47 oz which makes it a perfect keychain companion. The flashlight comes in a variety of colors to suit your style. Manker E02H is an angle head flashlight that outputs a maximum of 220 lumens. It uses a CREE XP-G3 LED powered by a single AAA battery. There are four modes plus special modes (SOS, strobe, beacon). This flashlight is very handy as a backpacking light with different options for use. It as it can be used as a headlamp when attached to the included elastic headband. There is a magnetic tailcap which makes it possible to attach to any metallic surface for hands free use. The pocket clip makes it easy to clip in your pockets or bag. Manker E02H is a great all-around light for everyday carry and outdoor use. There are various different models of Space Pen and Fisher Bullet Space Pen is the most popular design. Quite compact at a little over 3.5 inches when closed, it can expand to a full size pen when cap is posted for more comfortable use. The pressurized refills means you can write at any position, even upside down, and also capable of writing in extreme temperatures and even under water. Functional and sleek looking pen perfect for an office environment. Solid construction with brushed stainless steel finish makes for a modern and elegant appearance. Wonderful to write with and Lamy refills are easily available. Perfect for those who dislike tactical looking gear for everyday carry. A quality writing instrument that is always at hand. This is a small compact pen with a keychain ring. Carabiner and break-away loop comes in the package. It allows for multiple carry options, in a keyring, belt, lanyard, backpack, and more depending on your needs. Versatile tool packing 15 functions in a small footprint at only 2.3 inches and 1.4 oz (40 grams). 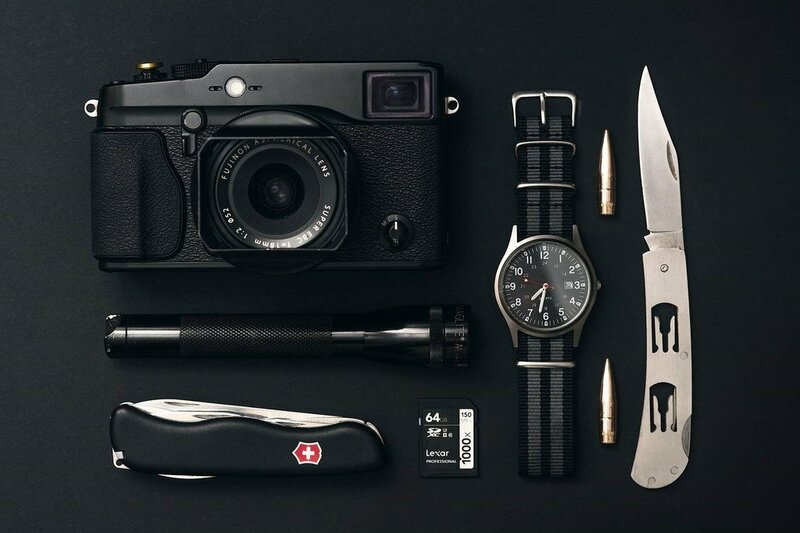 This Swiss Army Knife (SAK) has common tools for daily use. From the standard blade, bottle opener, screw driver, and scissors, it is also a mini manicure kit so you can work on your nails. Durable Alox scales looks stylish and modern. Has a keyring attachment and due to its light weight, it is barely noticeable on your keychain. Pioneer X is the latest version of the Pioneer line. It retains same functionality as the original and the addition of scissors makes it more useful. SOG PowerLitre is a compact multi-tool with an overall length of only 5.0 inches. Full stainless steel construction makes it very durable and the stonewashed finish give it that matte “utility” look. It has 17 functions, which includes the most useful tools in an everyday carry multi-tool. From pliers, straight blade, screwdrivers, bottle openers, can openers, wire cutters, and scissors, to name a few. It also features a compound leverage corkscrew to makes it easy to pull wine cork out. The tools are outward accessible with locking function for safety. 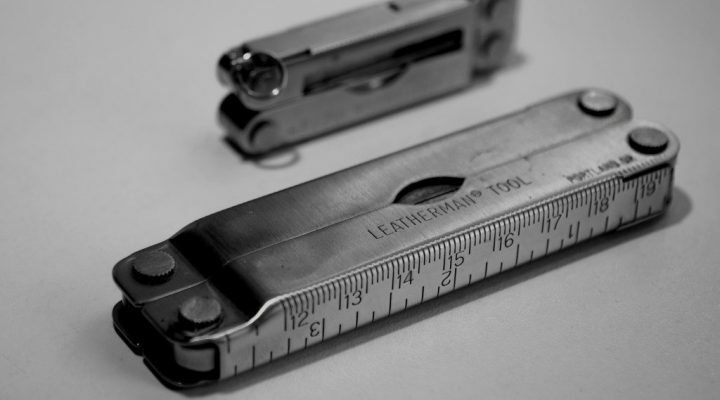 Leatherman Juice S2 is a very versatile multi-tool with a slim and lightweight design. It contains 12 useful tools handy for everyday tasks. The full set of tools includes, pliers, wire cutters, screwdrivers, can and bottle openers, a full sized scissors, and a handy blade. The multi-tool is made from 420HC stainless steel with textured aluminum scales for that modern look. 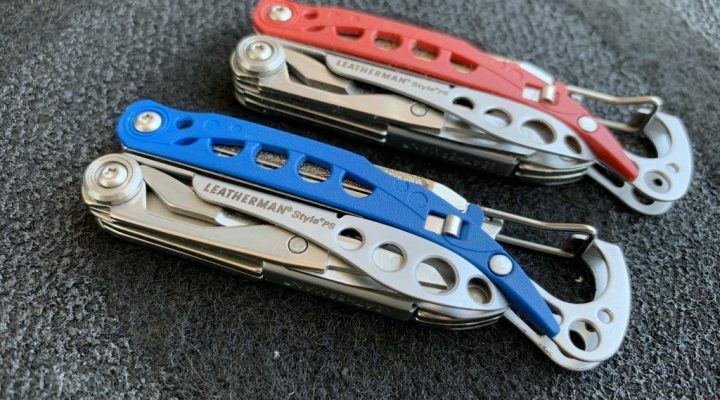 Leatherman Juice S2 is a great everyday carry multi-tool that easily fits in your pocket or gear bag. Saddleback is known for the quality of their leather products. 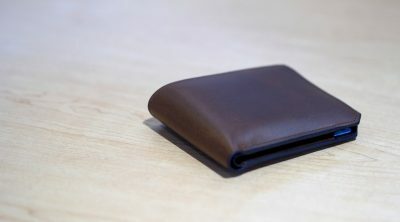 The wallet is made from full grain grain boot leather that will look better with age. A durable marine grade polyester thread is used for stitching the leather pieces together. It has six curved slots for cards and a larger pocket for bills. Available in different leather colors. Minimal wallet with slim profile. It has thee quick access slots and a storage area with a convenient pull tab makes it possible to fit up to 11 cards. Also has a hidden coin pocket. This is a classy looking slim bi-fold wallet. Several colors and editions available including RFID blocking protection. Slim, rugged looking wallet made from 100% polyester. Bi-fold design with a main compartment for bill, six slots for cards and two stowaway slots behind that. Good option for those that dislike leather wallets. Comes in different colors and design. 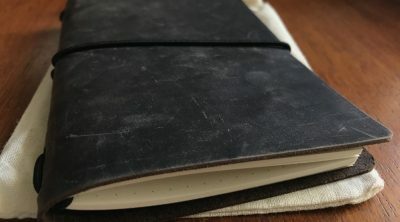 quality veg-tan leather and comes with a built-in aluminum pen that is compatible with Fisher space pen refills. It also has a 48 Page Dango Notebook to jot your ideas, and a silicone band to keep folded cash. Vaultskin Chelsea is a slim and stylish front pocket card wallet made from soft and durable top grain leather. It features RFID blocking for protecting your cards, and a smart strap in the main pocket for quick card access. Able to hold up to 10 cards, 3 in the back, 2 in the front and five in the main RFID protected pocket. This is a super-slim, high quality, minimalist wallet with great features that can carry a good amount of cards and cash. Unusual carabiner design with function in mind. Made from premium grade 5 titanium and features two piece construction that works together. The wider part of the carabiner works like a clip and intended for attaching to belt or bag loops. The narrower portion will keep your keychain. A key ring can be added without difficulty by opening the carabiner gate. Since it is made from titanium, it is very durable and can withstand daily use. HANDGREY KNOX Split Key Ring is an ideal match for this carabiner. Solves the problem of pocket bulge due to keys sitting at the bottom of the pants pocket or bag. This suspension hook clips discreetly on the top edge of the pocket and anything attached to it ‘hangs’ preventing the bulge. The P-7 keychain clip is made from tempered stainless steel which is bead blasted to have a matte finish. This odd looking hook-like contraption is actually a very handy multitool. It has a variety of common wrench slots, bottle opener, scoring and prying tool, bit holder and a flat head screw driver. All of these in a single compact package. It is designed in the form of a hook so that it can be used to hang on a belt loop or bag strap. Available in original or mini model in titanium, brass, or stainless steel. A great mini organizer for your everyday carry gear, Maxpedition MRZ Mini organizer has a custom semi rigid front to keep all your gear protected. Inside are elastic loops, pockets, to keep your cables, tools, and other gear neatly stored, and a Keyper for keeping keys. It has a polymer handle for carrying, and also comes with two TacTie Polymer Joining Clips for modular attachment to a belt or bag. Maxpedition MRZ works well for keeping first aid items, gadget wires, and other personal gear.